Grade school students are often given the assignment of constructing a solar system model. Or, you may be trying to build a realistic working model of the solar system to scale for some other reason. Either way, make your model stand out by building a model that rotates and revolves to showcase how the planets revolve around the sun. As long as you have a record player, this project is a cinch to build. Hunt for an old turntable at a summer garage sale or online. Paint eight small Styrofoam balls to resemble Mercury, Venus, Jupiter, Saturn, Uranus, Mars, Neptune and Earth. Find photos online or in a text book for guidance regarding the colors and size of each planet. Paint a large Styrofoam ball yellow to represent the sun. Drill a hole that's centered on one end of the wooden dowel. The hole should be large enough for the dowel to fit over a turntable’s metal spindle. Drill a hole in the Styrofoam ball that represents the sun. Glue it into the dowel by dropping a bit of glue into the hole in the Styrofoam and inserting the dowel. Drill four holes straight through the dowel’s body, varying the position of the holes. The drilled holes shouldn’t overlap, nor should they be parallel. Glue the dowel onto the turntable spindle by putting a bit of blue on the spindle and the inserting the dowel onto the spindle. Insert the wooden sticks through the holes in the dowel. An equal length of stick should protrude from both sides. Drill a shallow hole into each of the small Styrofoam planets. Glue the planets onto the sticks. 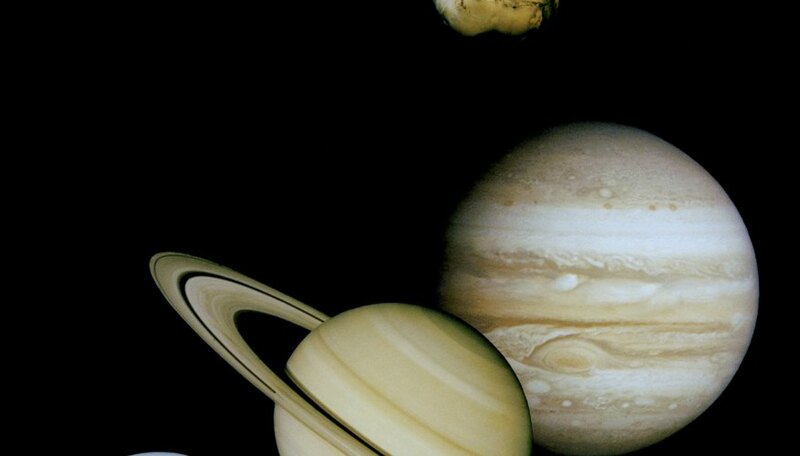 Position the planets correctly in terms of how far they are from the sun. Refer to a website or text book if necessary. Turn on the record player to watch the planets orbit around the sun. The sun will actually be rotating, and it will look like the planets are revolving around it. The record player doesn’t need to work entirely. Only the motor that makes the turntable spin must be in working order. The wooden dowel that will fit on the turntable can be as long as you want it to be. It depends on how large a model you want. It should be at least 6 inches to fit over the turntable and include the planet attachments. Pietroluongo, Lindsay. "How to Make a Revolving & Rotating Solar System Model." 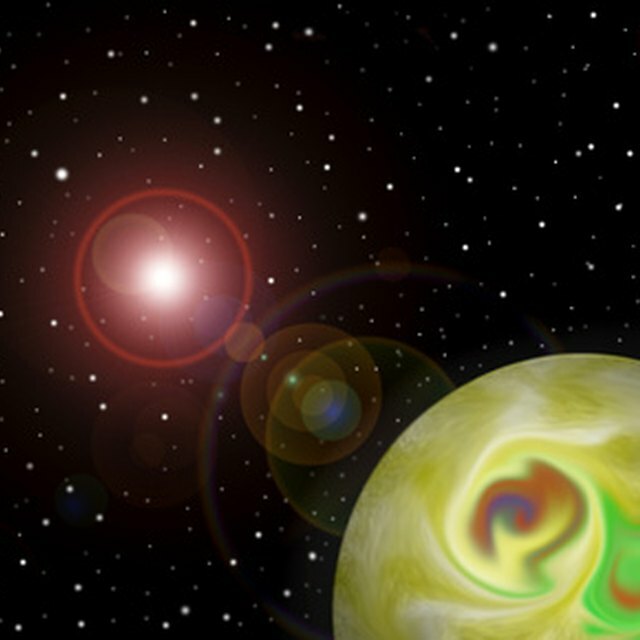 Sciencing, https://sciencing.com/make-revolving-rotating-solar-system-model-12170127.html. 24 April 2017.